recipe for crazy blog: Way to Go Sister!!! 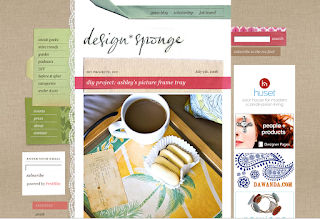 I love checking out fun design blogs and sites and one of my favorites is Design*Sponge. My super creative sister, Ashley Ann, is featured on the blog today for her DIY photo trays. Check it out, an awesome and clever idea.